You may have seen the sleek black bicycles around the island this Spring already, but if not, there are a few things you should know about the new bicycles offered complimentary at the White Elephant Village, The Wauwinet and The Cottages and Lofts at the Boat Basin. 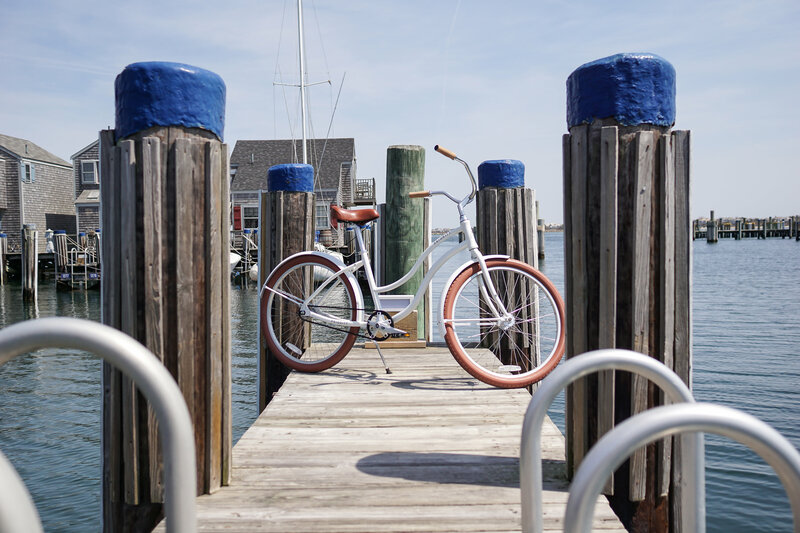 Nantucket Insider sat down with Co-Founder of Priority Bicycles, Connor Swegle, to discuss what makes these rides ideal for our guests, everyday riders looking to explore the beauty of Nantucket Island. Nantucket Insider: How did you develop the concept for this business? Connor: For years bicycles have innovated on the upper end- carbon fiber, more speeds, more features. There had been no attention paid to the challenges that kept everyday recreational riders from getting on their bicycles, people who wanted to get a relaxing ride on the weekend, such as heavy frames, rusting chains, rattling gears, and fixing flats. We wanted to create a bicycle for those riders- ones who wanted a high quality bicycle, that looked great, and was ready to ride when they were. We spent our time not adding to the bicycle, but focusing on simplifying to the most essential features that would make a bicycle low-hassle, high-quality, and beautifully designed. When we launched and shipped our first bicycle- The Priority Classic - we heard "This is the bicycle I've been looking for forever!" 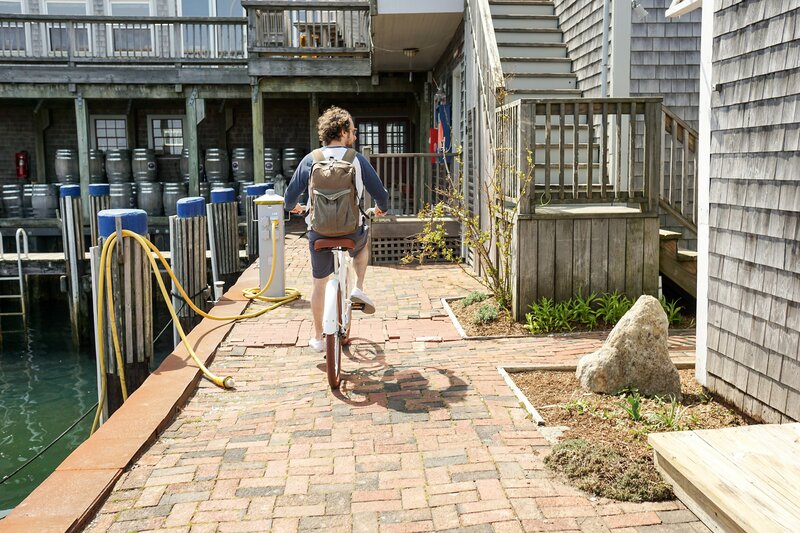 Nantucket Insider: What is the testing process to ensure the bike is truly maintenance and hassle free? Connor: We stand behind all of our products 100% and ride them everyday ourselves, as well, so testing is very important. There's two parts of the testing process. The first is technical and the second is practical. One primary difference with our bicycles is that they feature a belt-drive- this lowers maintenance and creates a rust-free, grease free, ultra-smooth ride. We work our bicycles into a cross section of our riders' lives and locations- commuters in Manhattan, weekend riders in Miami, bike path cruisers in Austin, etc. We tap first time riders to cycling enthusiasts to ensure that the bicycles are simple to ride and maintain for everyone. We recently developed a beach cruiser called The Priority Coast. To prove it, for three months we worked hard to make something go wrong or break the Coast. We dumped it carelessly on the sand, rode pedal deep in seawater during low tide, left it out in the rain and hot sun, forgot to rinse it off, banged through mud puddles and over sharp rocks down dirt roads. Not only does the thing still look brand new, it also still rides like the first day we took it out for a spin. Meanwhile the other beach traditional cruiser we tested against, new at the same time, is totally rusted, squeaks horribly, and the chain just fell off again. 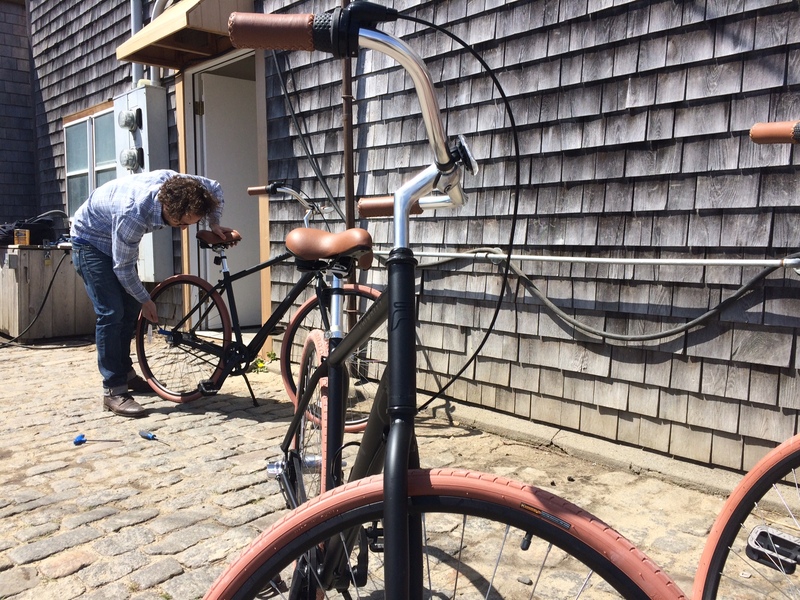 Nantucket Insider: Why are these bikes best for riders on Nantucket island? Connor: One of the things that makes Nantucket Island so beautiful happens to also be extremely hard on bicycles- the coastal environment. The constant ocean views, cobblestone streets, and beach sand can break down a traditional bicycle quickly. Our bicycles are light, durable, and with our grease free belt drive you never have to worry about a rusting chain, stained pants or dirty hands, when you are out and about for a day. 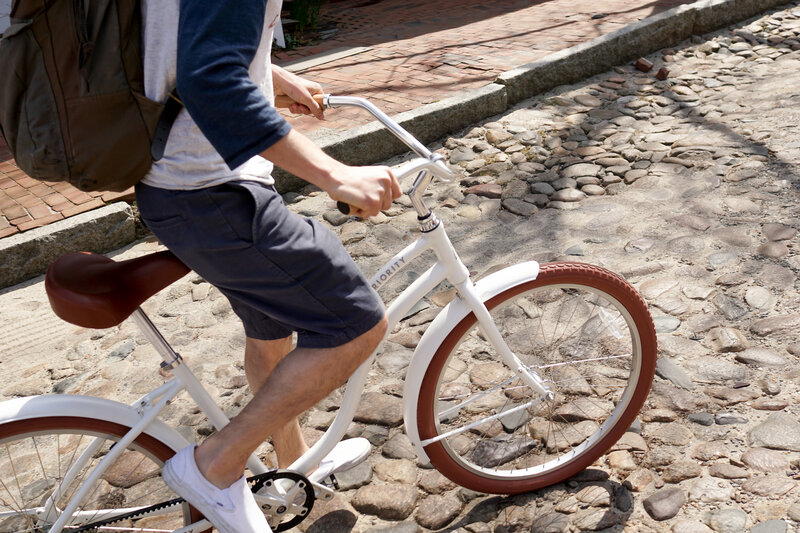 Our 3-speed hub and casual riding style makes it easy to get through town or out to Cisco Beach for sunset. The White Elephant Village, The Wauwinet, and The Cottages and Lofts at the Boat Basin are also all known for their style and quality amenities. We aim to make our bicycles a great fit on those properties and to extend that experience all throughout the island. 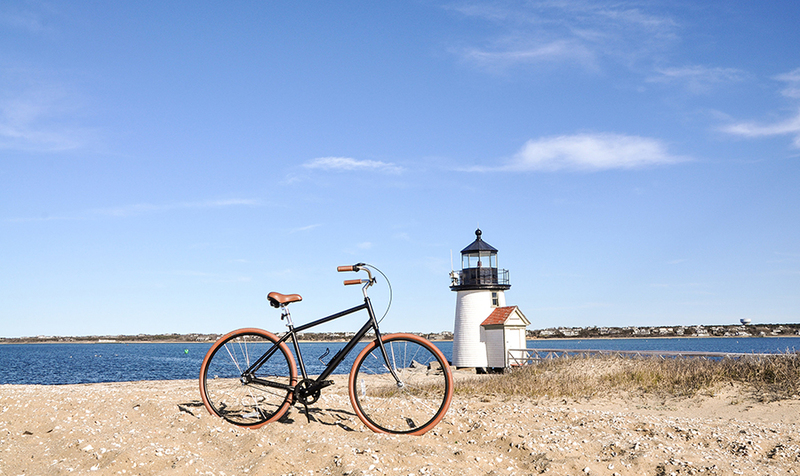 Nantucket Insider: Where are some of the other locations where your bikes thrive? Connor: What's exciting for us is that we have riders in all 50 states and many countries around the world, in all age ranges, and lifestyles. Our bikes thrive where our riders thrive because we design our bicycles to be simple throughout our riders' life, from finding, purchasing, assembling, and ongoing maintenance with their bicycle. Hassle free is something that doesn't start and stop with when you are on your bicycle. 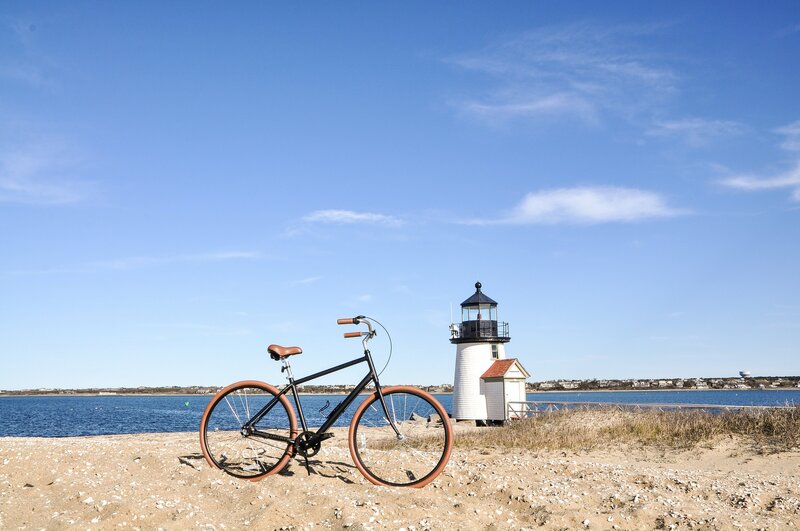 Nantucket Insider: What are your favorite sites to see when cruising Nantucket by bike? Connor: Staying at a Nantucket Island Resorts hotel is one of our greatest treats. It feels like home every time we arrive. Last time we were in Nantucket we took bicycles over on the ferry, and once we started riding, we didn't stop. Our favorites have been a ride out to Brant Point for some photos, out to Cisco Brewery to hear some music and have a few drinks, parking our bicycles outside of The Nautilus for some appetizers and drinks before dinner at Lola 41, and also great food and wine at Pi Pizzeria. We also can't forget going to Stubby's to grab a breakfast sandwich before getting on the Ferry to head back. Priority Bicycles are featured at the The Wauwinet, The Cottages at Lofts at the Boat Basin, and the White Elephant Village. The company was founded by cycling industry veteran Dave Weiner and co-founder Connor Swegle to deliver hassle-free, high quality bicycles to recreational riders. Priority Bicycles has been featured for its product design and business model in the Wall Street Journal, Popular Science, Outside Magazine, and others, as well as received the "Best In Class Design" distinction by Inc. Magazine. You can learn more about them at prioritybicycles.com .